There is nothing quite like Breckenridge in the fall. Breckenridge is already one of my favorite places on earth so fall just makes it that much better. Cool nights, the occasional snow capped mountain, bright yellow and red aspen trees, and perfect temperatures during the day. Ten Mile Station is one of my favorite venues in the state. It’s stunning view of baldy peak, scattered aspen trees, and rustic Colorado mountain atmosphere make it a perfext Colorado venue. 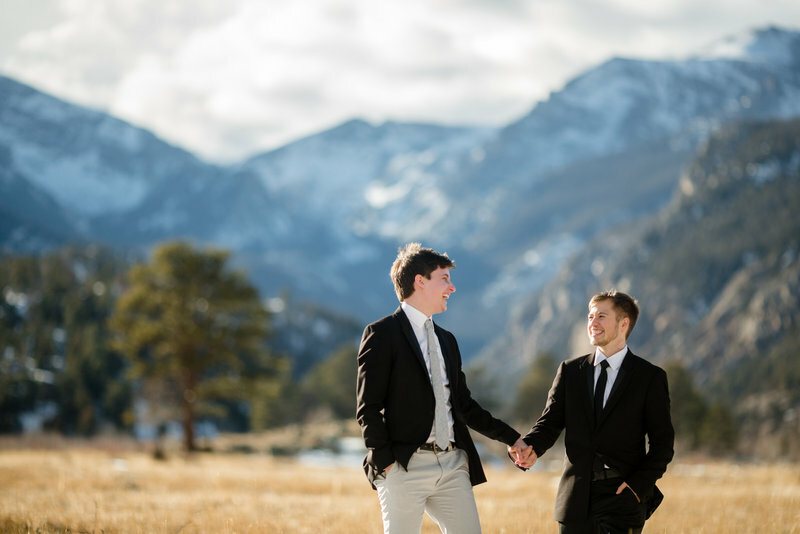 Alice’s parents reside in Breckenridge so it was an easy decision for her to have her wedding here, and seriously, what better time than fall to celebrate the love of your life? Right off the bat I knew that Alice and I were going to get along great. She was so laid back and just warm and you could tell that her family meant everything to her. Adding Corey to her family meant even more. Her first look with her dad was so so sweet. You could tell how proud her dad was the whole day. So much thought went into how the guest would experience her day from every little detail. Seriously I am obsessed with her floral (especially her arch all done by the fabulous Bloom Floral Shop in Breckenridge). The weather was absolutely stunning. A perfect fall Colorado day. Thank you Alice and Corey for sharing your day with me. Your smiles and happiness are infectious and you are beautiful inside and out. I wish you well on this crazy adventure we call marriage.